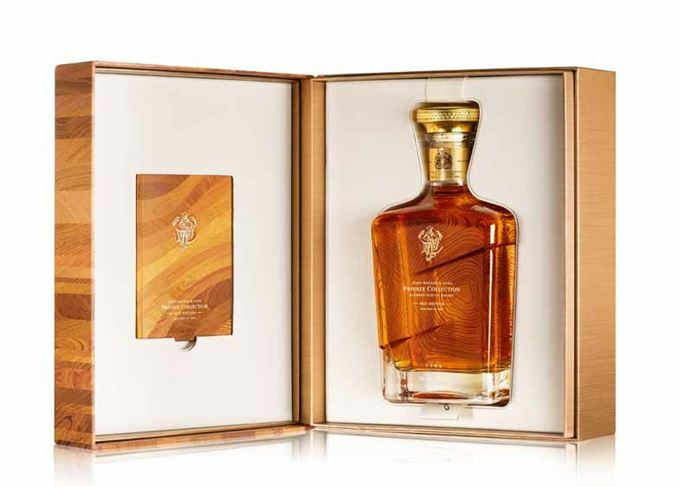 The fourth edition of the John Walker & Sons Private Collection blend – Mastery of Oak – has been released by Diageo. As with the previous releases, master blender Jim Beveridge, this time assisted by Aimée Gibson, has chosen to focus on a specific aspect of what he described as ‘a journey of flavour styles’, each showing the blending philosophy of Johnnie Walker. ‘The first two releases were examinations of distillery character,’ Beveridge explained. ‘The first looked at smoke; the second examined rare fruits. Last year, we took a different approach and focused on the role of oak in helping to enhance honeyed notes. The blend is comprised of three vattings. One is a selection of grain whiskies, plus one malt, all aged predominantly in first-fill American oak casks with some rejuvenated, ‘to give overt flavours of American oak’. The second vatting is of single malts from the Highlands and Speyside, aged in refill casks, to showcase individual distillery character. ‘We also wanted these to be different from the classic expressions of distilleries people may know,’ said Beveridge. ‘This was a chance to go beyond that by using whiskies matured for longer.’ This vatting added exotic and complex fruit characters. The final component is made up from whiskies from experimental casks which formed the ‘Matrix’ programme. This complex trial involved 400 casks, split into groups of five. Most were made of American oak, some had different toasts of shells and/or heads; others had different chars of their shells and/or heads. Another grouping used ‘salt-cured’ casks, pre-conditioned with a salt which changes the nature of wood chemistry when the cask is toasted, allowing lower temperatures to be applied and more concentrated characters to be produced. All of the casks were filled with a mix of grain and malt whiskies, some as new make, others at five years old. Two different filling strengths were used. The vatting, which comprised grain and malt, added structure and muscle, and a more overt spiced oak element. ‘Every whisky starts out full of the promise of its distillery character,’ Beveridge concluded. ‘Oak casks offer us an astonishing number of ways to differentiate these styles further as they mature, broadening our palette of flavours for blending. John Walker & Sons Private Collection 2017 Edition, ‘Mastery of Oak’, is bottled at 46.8% abv and comprises 5,588 individually numbered decanters, with an estimated retail price of £550 each.